When should I use a Personal Access Token instead of standard authentication? 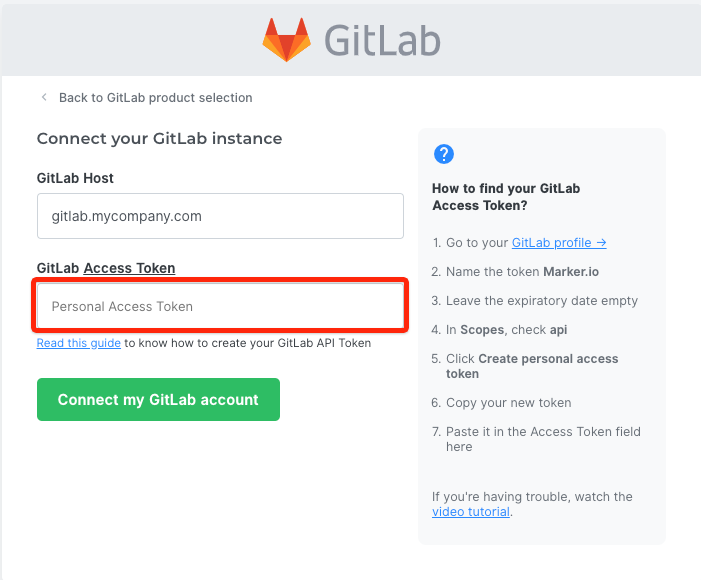 If you are using the self-managed version of GitLab, you will need to provide a Personal Access Token in order to integrate Marker.io with your GitLab account. Read on to find out how you can create your token. If you are using the cloud version of GitLab (if your host is GitLab.com) then you do not need to follow this guide and can simply select GitLab.com when adding a new account. Go to your GitLab account and navigate to the Personal Access Token tab. 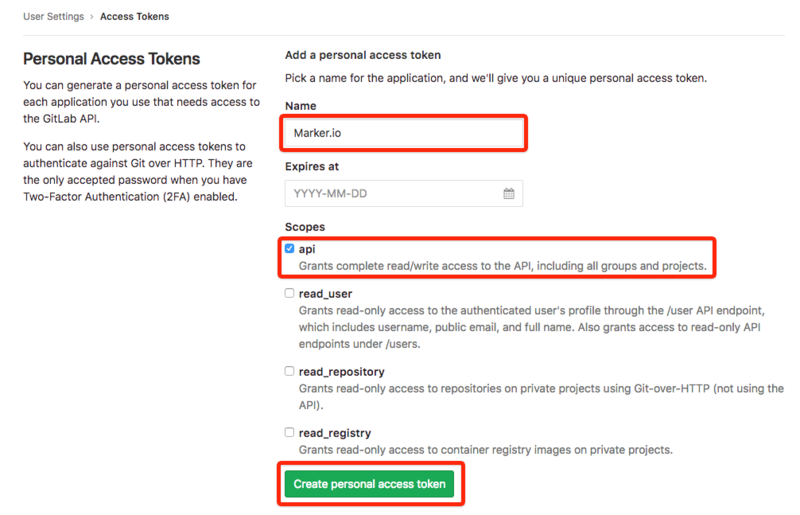 To learn more about Personal Access Token, you can read the relevant documentation at GitLab.